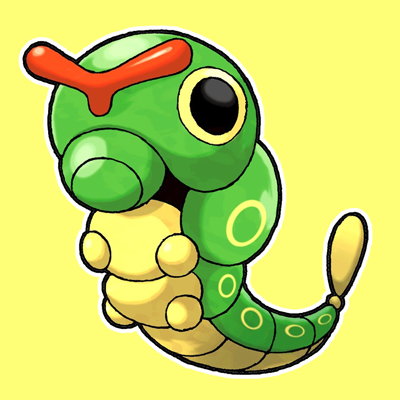 Caterpie is a bug-type Pokemon who evolves into Metapod at level 7 and Butterfree at level 10. He looks almost exactly like a caterpillar. 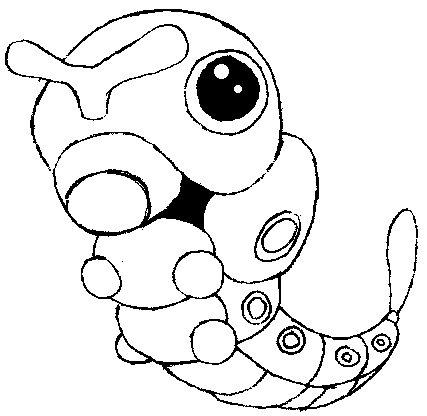 Ash Ketchum’s very first Pokemon that he caught was a Caterpie so this is a very classic Pokemon for you to learn how to draw. 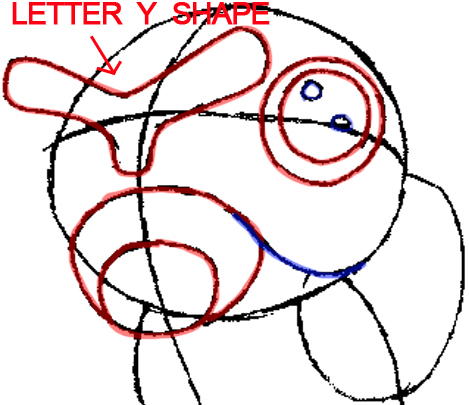 Today we will show you how to draw a Caterpie using very basic geometric shapes. Hopefully it will be very easy for you to draw…the illustrated steps can be found below. Start off with a lollipop shape with a cross section. This will serve as your guide to where the facial features will be placed. Make the stick curved. Draw a small oval on the bottom of the head. Take note to leave a section of the curve outside that oval. 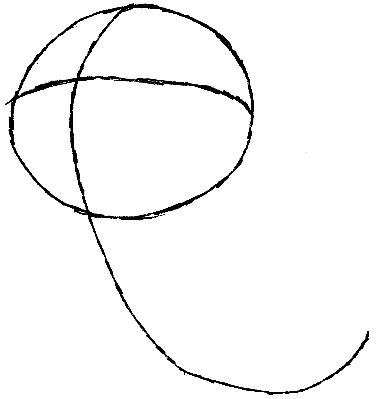 Draw an oval at the back of the head. 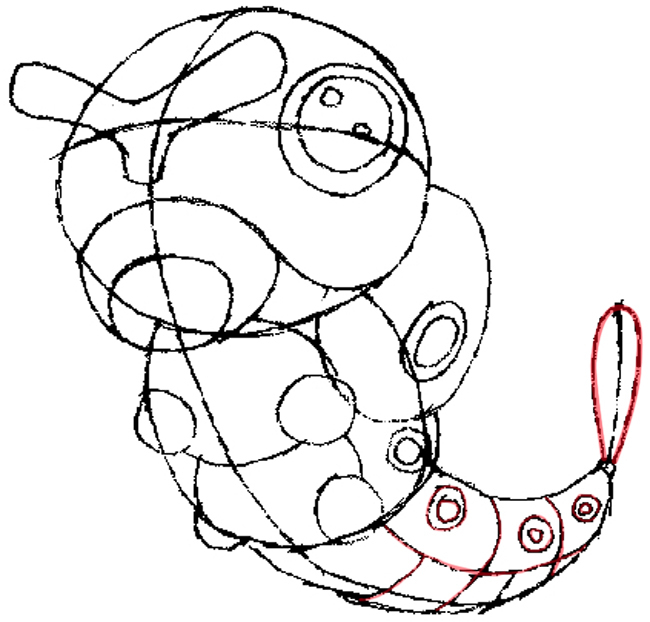 This will be Caterpie’s “hump”. 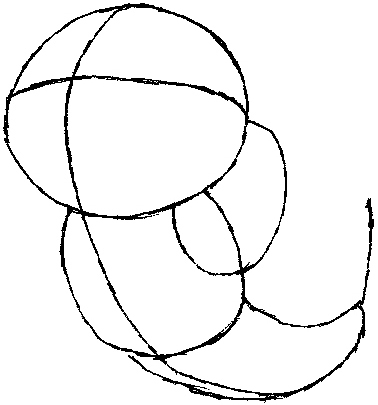 Draw a thick “Y” shape for the antennae. 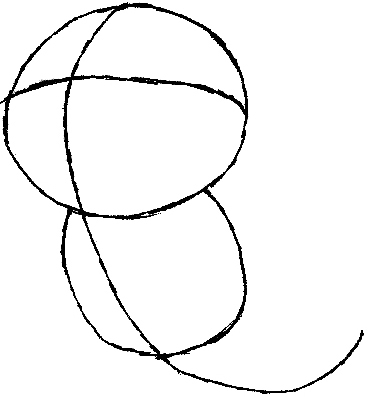 Draw two ovals for the mouth and a circle for the eyes. Add two rings at the hump and back. 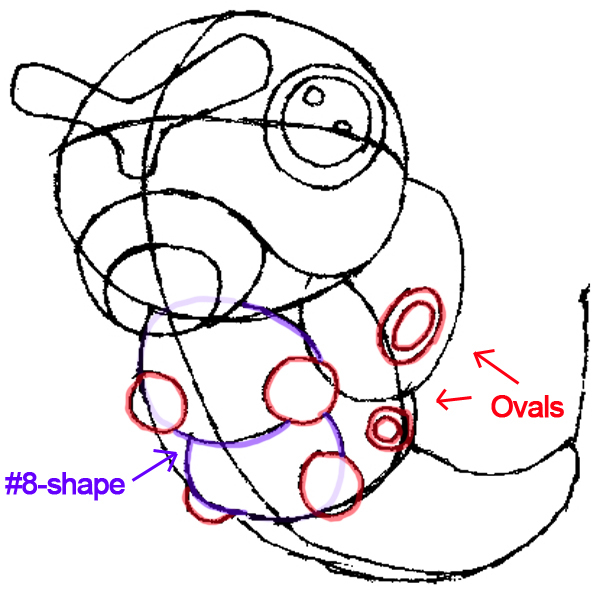 Draw two ovals at the chest (looks like a #8 shape) with two small circles each for the legs. Add some stripes to the rest of the tail for the body segments. Add a small leaf shape at the end for the tail design. Continue to add more rings. Erase your guide lines, add blackings, and you’re done! Now you have a finished drawing of Caterpie. You can color him in using markers, colored pencils, pastels, or watercolors. I know he will look amazing when he is done. Come back for more Pokemon drawing tutorials.